Administrative Governance of Wild Anglia is managed through the work of the Board. A small Board has overall administrative responsibility for Wild Anglia. This executive core and the Advisiors considers all legal, financial and administrative matters concerning the work of Wild Anglia as a CIC and includes individuals with significant corporate and sustainability experience. Alongside them are a wider Reference Crew to help input ideas to develop the strategic direction of Wild Anglia. The Reference Crew are people enthusiastic and supportive of about the agenda. They take an informal but informative role and includes representatives from public, private and 3rd Sector organisations and from across multiple sectors, which recognises the range of issues that comprise the sustainability agenda and Wild Anglia’s Manifesto. Richard is Chair of Wild Anglia, He is the Director of the History of Advertising Trust. 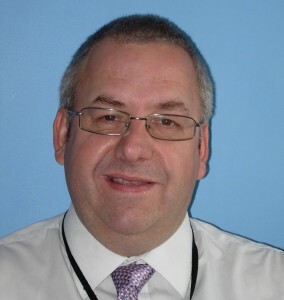 Richard Chairs New Anglia European Structural Investments Funds Committee for Norfolk and Suffolk and represents all Englands LNP’s on the National European funding Project Board. He is also the Conservation Lead for the Regional Flood and Coastal Community Committee (Eastern) for the Environment Agency. Richard is passionate about landscape recreation and climate change adaptation and the need to be doing things differently to inspire new and alternative economic, social and environmental agendas. 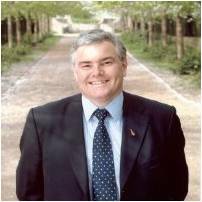 Richard previously spent 28 years as Regional Director of the RSPB and Regional Director for the National Trust in the East of England. He was Chair of the Region’s Heritage Lottery Fund Committee and a founding board director for EEDA and Sustainability East. Richard was awarded an OBE for his work in the Environment and Sustainability in June 2005. 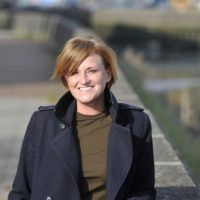 Anna has 10 years’ experience of providing resource efficiency advice to businesses and communities, project development and management, staff and team management as well as considerable experience in European funding, CSR and partnership working. As the Operations Manager for Groundwork Suffolk Anna and her team undertake a broad range of work with local communities and partners across six core sectors; employment and skills; education; young people; communities; business and land improvement. The environment is the inspiration for all of their work. Contact Anna if you’re a business interested in creating, improving and investing in your local environment or even showcasing your own best practice work in relation to green infrastructure. Contact me about improving and safeguarding natural assets to support business and biodiversity, water-related issues or Local Environment and Economic Development (LEED) toolkit. including sectors and business intermediary organisations.